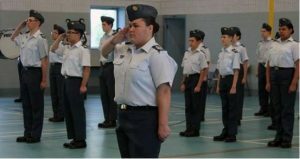 On Saturday, May 20, 2017, the cadets of 187 Foothills Royal Canadian Air Cadet Squadron will parade through the streets of High River to receive the Freedom of the City. The ceremony will take place to commemorate the 75th anniversary of the squadron. For more information, please visit the squadron’s Facebook page or read the High River Times article about the event. Our National Honorary President, LCol (ret’d) Maryse Carmichael, CD was recently featured in the Esprit de Corps magazine as one of the top 20 women in the defence sector for 2016. 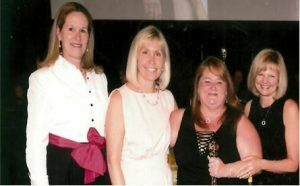 As part of International Women’s Day 2017 and Women of Aviation Worldwide Week, we invite you to learn more about this important member of our organization. Maxime Renaud, CF-18 pilot et former air cadet from 634 Air Cadet Squadron in Jonquière, received highest rank following his one year training at the United States Naval Test Pilot School! Article in French. 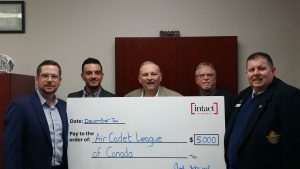 The Air Cadet League is the proud recipient of a Grant from the Intact Foundation in support of the work the league does and continues to do in the leadership and citizenship programs for youth offered through the Air Cadet Program in communities all across Canada. 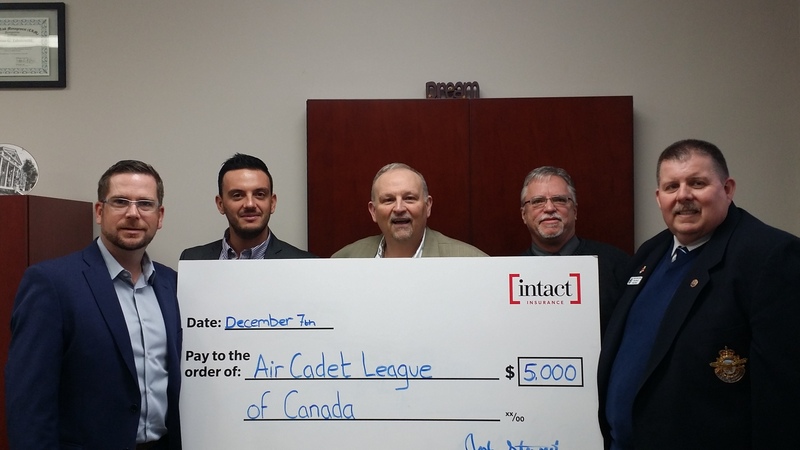 The Air Cadet Leagues Grant application was supported by Expo Insurance Brokers of Mississauga, Ontario through the Intact foundation as a brokerage office who represents Intact Insurance Co. The Foundation provides donations and community investment funding only to registered charitable organizations in Canada. Photo one – (Left to Right) Josh Stewart Intact Mississauga Branch Director, Stan Maslev Intact Business Development Manager, Mr. Thomas Taborowski Principle Broker Expo Insurance Brokers, Mr. Scott Lawson Special Projects Air Cadet League, Mr. Don Berrill C.D. 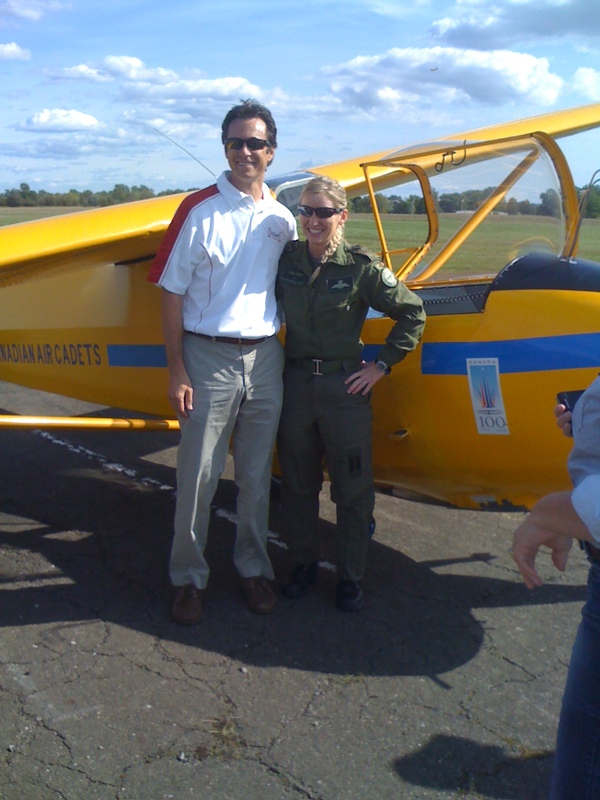 National President Air Cadet League of Canada. Photo two – Thank You Gift From Mr. Don Berrill C.D. 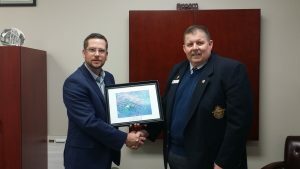 President of the Air Cadet League to Josh Stewart Branch Director, framed photo taken from space by Canadian Astronaut (former Air Cadet) Chris Hadfield while commander of the International space station. Photo 3 – Mr. Roberto Rei Vice President Intact Insurance, getting ready to take his glider flight in an Air Cadet League of Canada Glider in a community appreciation day held in Thorold Ontario. 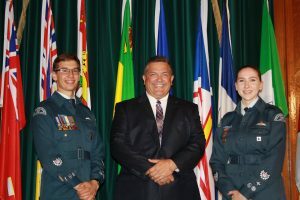 We invite you to review the highlights of the 75th anniversary – Reunion night of the Air Cadet League of Canada, Québec and Ottawa Valley, with this short video memory! 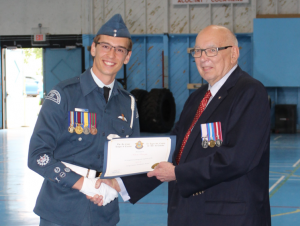 Virgil P. Moshansky joined the 287 Lamont Air Cadet Squadron in 1945 and over the next four years rose to the rank of Cadet Station Warrant Officer. Through his cadet career he not only achieved his cadet wings but also the DCRA Marksmanship awards. 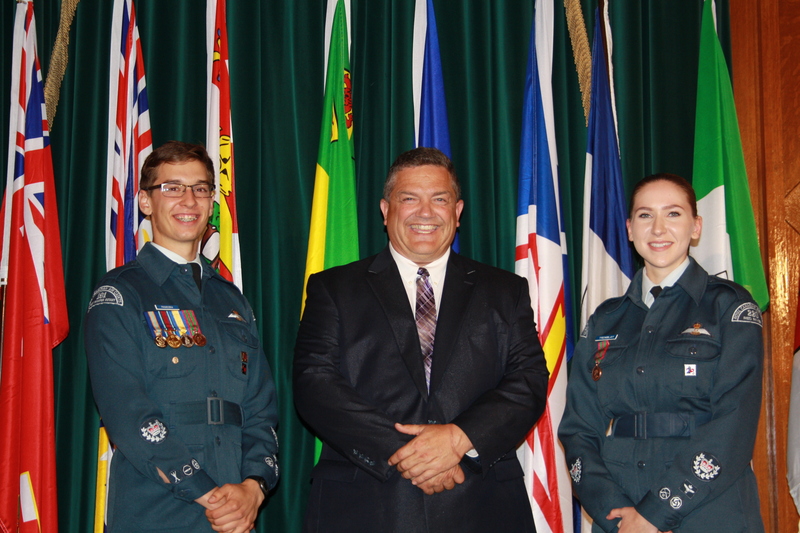 What did Air Cadets mean to Alberta Supreme Court Justice Moshansky in his career? Everything! The following is his story. 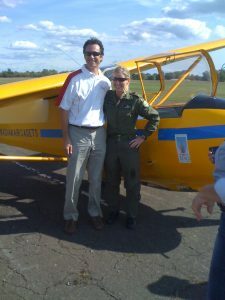 Herb Spear flying in a glider for the first time in 75 years of aviation career! 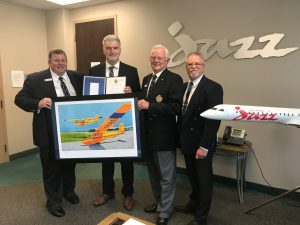 Herb Spear – WW II pilot and 1941 Air Cadet with 52 City of Calgary Squadron, soars in glider for the first time in 75-year aviation career!